There are two types of data displayed in Map Pilot, offline and online NFZs. Offline NFZs are the baseline zones irrespective of aircraft type or user. In contrast, online data displays NFZs related to you specific aircraft and any previous unlocked zones that can be found in your DJI Account. To view the “online” data you must be connected to your aircraft and logged into your DJI account.  Map Pilot provides the ability to unlock available zones. Select “Zone Control” from the options panel at the top right, select a zone to unlock using the rolodex of zone names. Those that are able to be unlocked will have the label “unlock” under the lock button. Mission layouts can be placed anywhere, regardless of NFZ’s, however takeoff and flight may not be allowable based on the severity of the zone restriction.  Fly zones are displayed within a 20 mile radius of either your mobile or drone location. To unlock a fly zone that is farther away, DJI’s Fly Safe website is the best option for unlocking zones for your next mission. For those users than have disabled all DJI-fencing on the Aircraft itself, is Map Pilot's Zone Control going to be an issue if flying in a location without an unlock from DJI? I have not tried MP in that situation yet, but Drone Deploy has been messing with this and I have tried it in locations where it says an unlock is needed but I just cancel the nag and start the mission as normal. Can I expect the same behavior in MP. To be clear, DJI Go also posts a nag but the aircraft doesn't care. I just want to know if MP will function in this circumstance. I know the aircraft will. Mike O: Thanks for your advice. Map Pilot only displays the zones as defined by DJI for flight planning purposes. Map Pilot does not inhibit takeoff since that it done by the aircraft if required. The restrictions are different for waypoint flight as opposed to manual or Virtual RC flight. Tudor: As I said, in DJI Go I can fly without problems, how can it be, that in Map Pilot not ?